A two-minute stroll from Piccadilly station brings you to our door – a luxury hotel in Manchester city centre, part of the AA Hotel Group of the Year 2017-18, housed in a 19th century textile factory. Individually designed bedrooms (including a taste of ‘loft living’ with our Fabulous suites), contemporary bathrooms and a warm welcome are waiting. A relaxed, all day venue, in the style of a grand European brasserie and bar, Brasserie Abode features cool leather, polished brass and a contemporary vibe set over two floors. 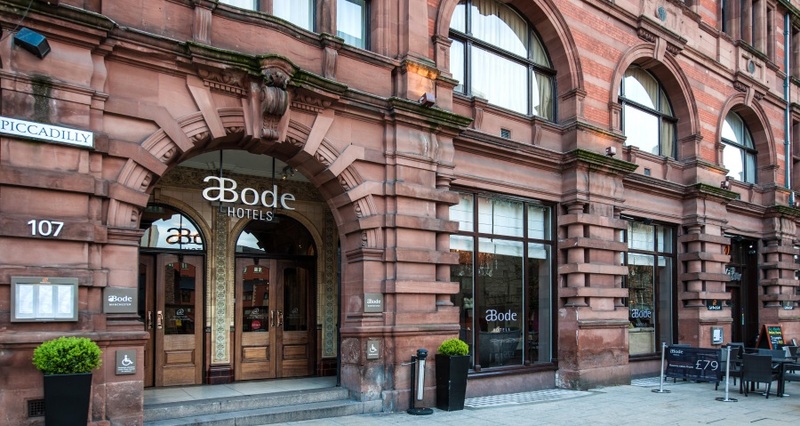 Open daily, Brasserie Abode offers all day dining. Open until the small hours with resident DJs and delicious cocktails, Brasserie Abode Bar is the place to be seen.